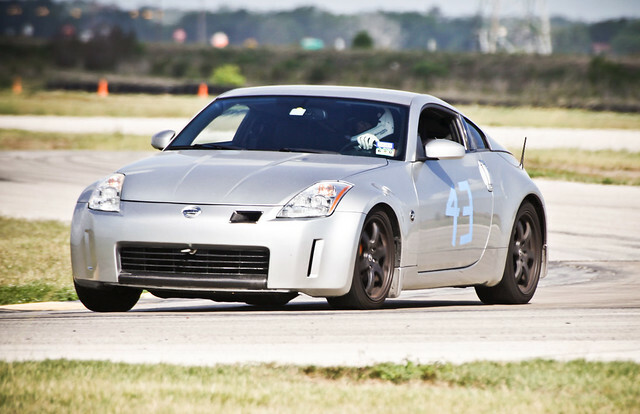 Last weekend I did a weekend-long track event with The Drivers Edge at MSR Houston. I'm pretty familiar with both organizations, and generally, whenever Drivers Edge comes to Houston I sign up because it's only about 45 minutes away from where I live. MSR Houston is very, very flat, but I'm a fan, and my familiarity with the track makes me really comfortable driving there and I can get up to speed quickly. 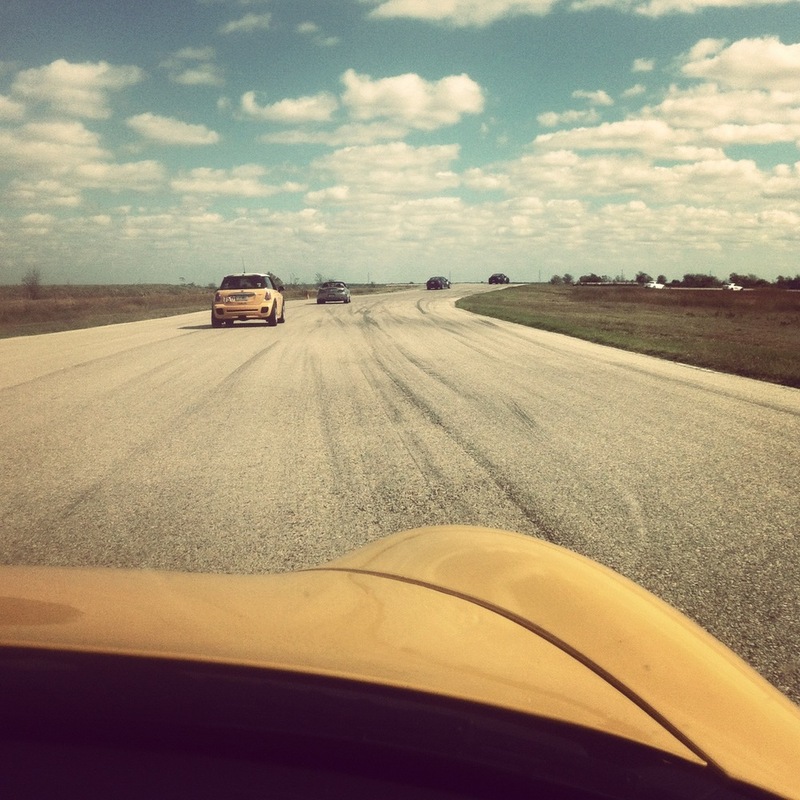 I drove as a Yellow solo student all weekend, so that means no instructor, and a run group filled with pretty fast drivers. 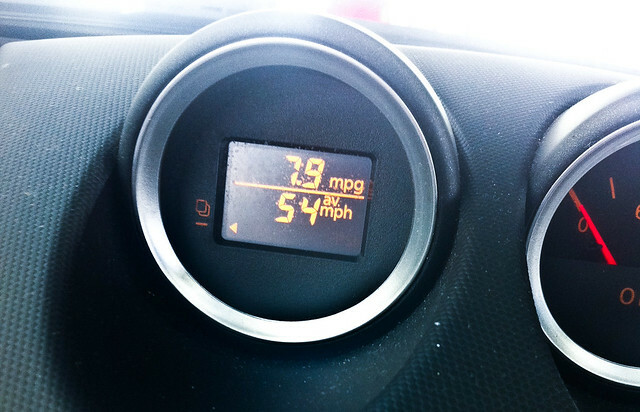 It's not timed, it's just an HPDE and you obviously aren't racing, but still there is some competitiveness, plus, it's easy to gauge your speed by how whether or not you're passing people or being passed. It seems like, for me, I got up to speed quickly and was relatively quick on Saturday morning; then as more people gained confidence, they improved more and started passing me. On Sunday afternoon I think I picked up the pace a little but and had my fastest runs. My intent was to find an instructor to ride with me at least one — just to make sure I wasn't doing anything wrong and maybe see where I can improve — but circumstances derailed that plan. One driver in the Red group was a guy named Karl who drives a Lingenfelter LS1-powered ASA stock car. I got a ride in this stock car. It was ...brutal. Karl's driving was superb, and the car was incredible. But the noise in the cabin was literally unbearable without earplugs. After a quarter of a lap I stuck my fingers under the edge of my helmet to block my ears, because if I didn't, I could feel something rattling within my ear canal. The smell, which was carbon monoxide, if I'm not mistaken, crept in and accumulated. Normally on a lap in a car, the straightaway is a calm moment where you relax; it's a break from the Gs. But in the stock car, the wide-open throttle that the straightaway calls for sends even more toxic fumes into your helmet. It was rough, I understand that Nascar drivers have filtration and air supply (from NACA ducts) to their helmet, and earplugs, but being inside a stock car still must be a pretty rough place to be. I didn't even mention the heat: you can feel the heat from the engine cooking the soles of your shoes on the floorboard. Like the fumes, it accumulates over the course of the run. 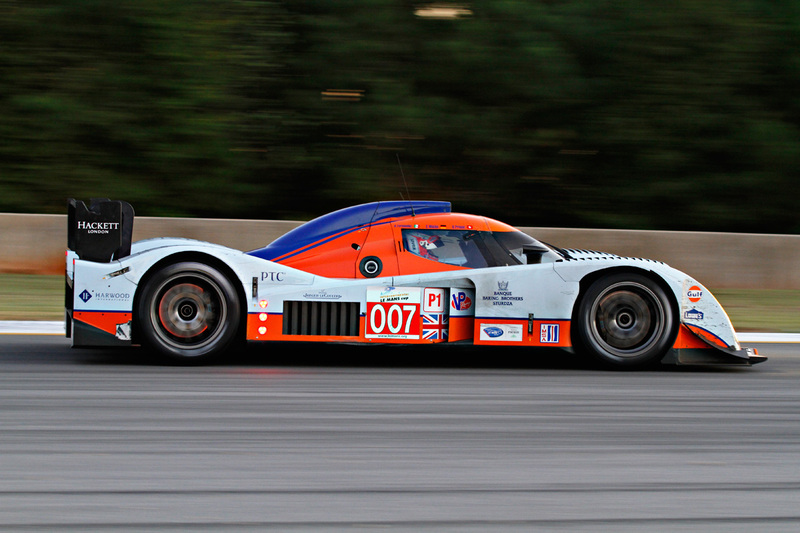 It was an incredible thrill, and the quickest laps I've ever been in. It sounds like I hated it, and that's not true. My complaints are really just to paint a picture that driving a stock car is pretty challenging and just being in one is way different than it looks.I thought about asking to get out, but stuck it out because I knew the ride had to be survivable. Making him stop would have killed half of his session because he'd have to pit and I'd have to get out of the harness and climb out the window and all that. I stayed with it. After my ride, I actually felt sick. I drank water, sat in the AC and tried to collect myself. It was the fumes that did me, not motion sickness or anything, and not even the noise, which was fine once I improvised earplugs. I had 25 minutes until my next driving session (third session on Sunday), and I waited until the very last minute to get back in the car, but by that time I was fine. Still, this was when I had planned on having an instructor, and I didn't really want to deal with the added pressure. My last session on Sunday went well. I said I was going to take it easy, for the sake of the car and the heat, but of course once I got going that didn't happen. The last session of the last day is when they say people make the most mistakes, because of lack of focus, dehydration or just overdriving. A lot of people pack up and go home, so if you do stay for the last session you have a clearer track. 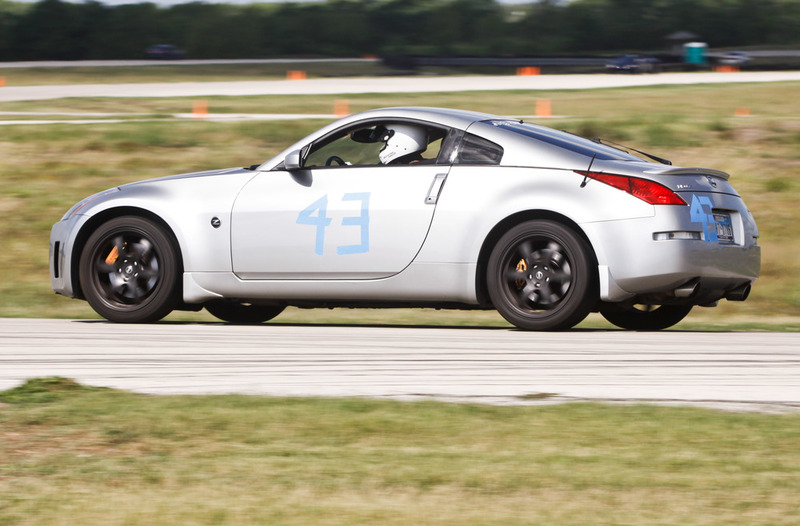 Everything went smoothly, and the Z is healthy and ready for another weekend of abuse.